The Honda CBR650F is the most expensive motorcycle to be assembled in India by the Japanese two-wheeler giant. Launched in 2015, the bike did manage to gather decent sales figures for its asking price but with the BS-IV emission norms coming into effect, Honda had to discontinue the motorcycle from the Indian market. The Euro 4 version of the Honda CBR650F was showcased at the 2016 EICMA motorcycle show last year and the updated motorcycle has been silently launched in the Indian market. The 2017 Honda CBR650F has been priced at Rs 7.30 lakh (ex-showroom, Delhi), which is the same as its predecessor and bookings for the bike has commenced across all the Wing World dealerships in India. One will be hard pressed to list out any visual difference between the new model and its predecessor as cosmetically both the bikes are very similar. But the new bike gets a LED headlight, bronze-finished crank case and slightly redesigned fairing and tail lamp. 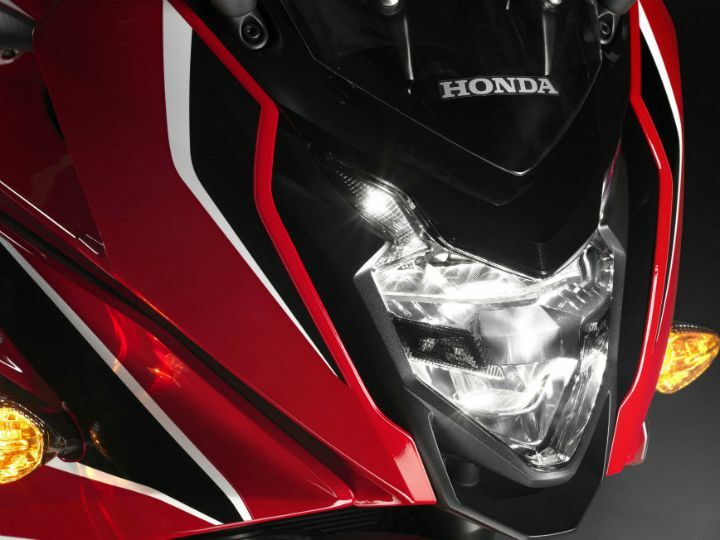 The most talked about feature of the new Honda bike is its Euro 4-compliant 649cc motor. In the Euro-spec engine, the inline-four mill delivers 90PS and 64Nm of peak torque. However, the India-spec engine produces only 86.7PS of power while peak torque stands at 60.5Nm. The loss in power can be attributed to the fact that Honda engineers would have tuned the motor to better suit the lower fuel quality that is sold in our country. The older Honda CB650F’s engine pumped out 87PS at 11,000rpm and 63Nm at 8,000rpm. To make the bike Euro 4 emission norm compliant, Honda engineers changed the intake and exhaust flow management while the exhaust system features a dual-pass internal structure as opposed to triple-pass in the muffler, to reduce back pressure. 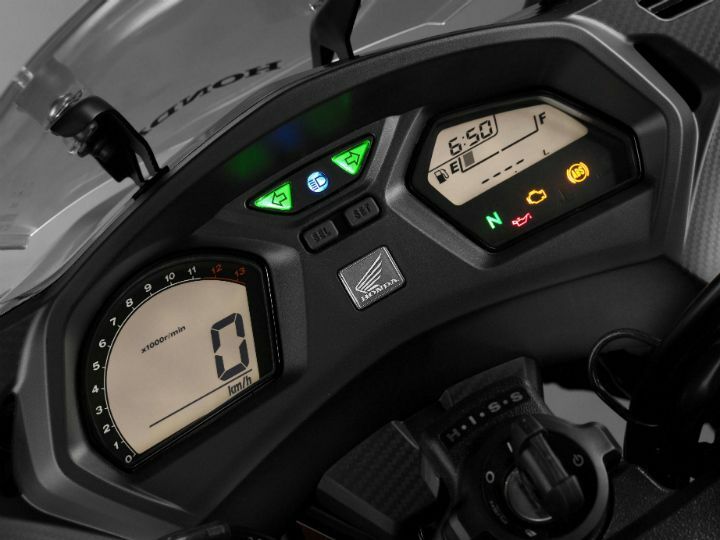 The gear ratios have also been reduced, which has improved the acceleration and roll-on figures of the new motorcycle, as claimed by Honda. Honda claims a fuel efficiency figure of 20kmpl and full tank range of close to 350km with its 17.3-litre tank capacity. Updates haven’t been restricted to just the engine as the new Honda CBR650F features new 41mm Showa Dual Bending Valve (SDBV) forks that has more suspension travel at 120mm (110mm in the older bike). At the back, suspension duties are handled by a preload-adjustable monoshock, mounted directly to the die-cast aluminium swingarm. Braking hardware has also been updated with revised two-piston Nissin front callipers and twin-channel ABS as standard. 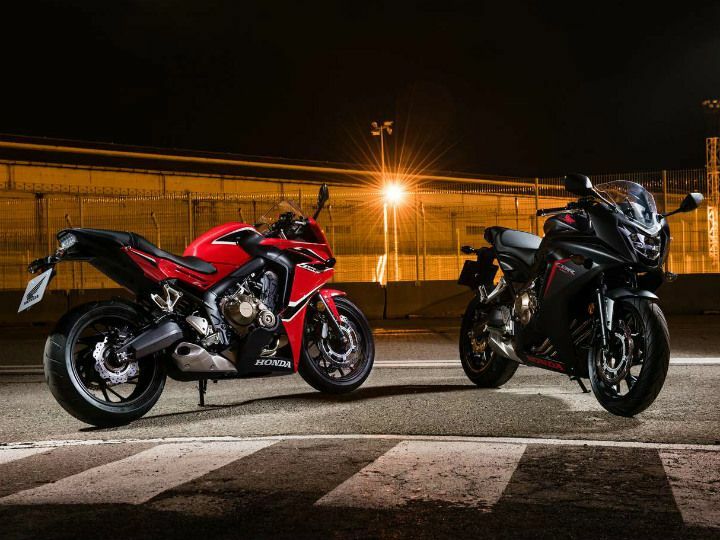 The Honda CBR650F competes against the Kawasaki Ninja 650F in India and will be made available in two new shades – Millennium Red and Matte Gunpowder Black Metallic.